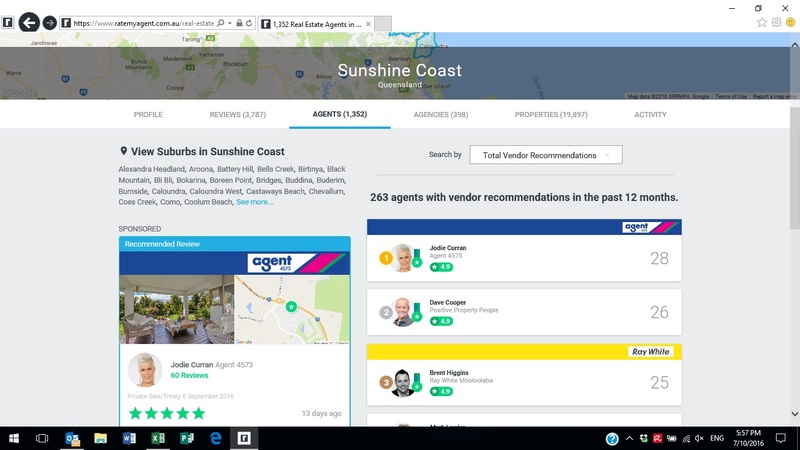 2016 Number 1 Agent on the Sunshine Coast! Jodie is rated Number 1 out of 263 agents across the entire Sunshine Coast for the most Vendor (seller) recommendations!! !